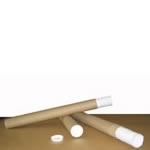 Roll up your posters, pictures and maps, good also for documentation. 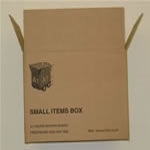 Small items cardboard box - ideal for packing up all those small kitchen, ornaments, office, household items into strong boxes. 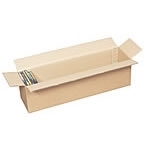 These packing boxes can hold 20 DVDs, the cardboard boxes can also be used to pack video cassettes. 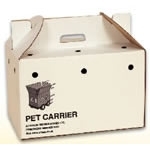 Pet carrier with ventilation holes. 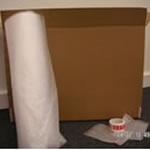 These packing and storage boxes fold up in seconds to make a secure storage box to protect your paintings / mirrors. 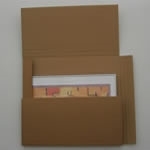 The archive boxes fold together in seconds to form a strong archive box carrier for all your office and home documents. No packing tape is required, and there are hand holes on each end of the archive box for easy carrying. 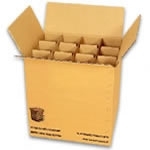 These packing boxes can hold approx 90 Singles, the cardboard boxes can also be used as storage boxes. 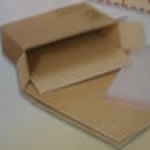 This white cardboard box for easy recognition folds together with a integral handle on top for easy carrying. 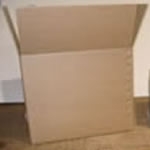 This cardboard box could be used, for shoes, hats, electronic equipment, magazines, files ,delicate items. 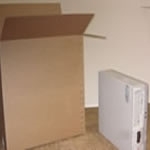 Pack up your computer tower-base unit in our strong cardboard boxes. 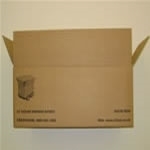 These cardboard boxes are made from our export grade cardboard boxes material. 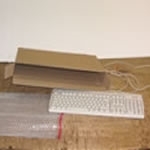 Pack up your printer in our strong cardboard boxes. 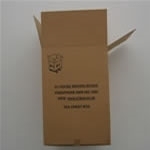 These cardboard boxes are made from our export grade cardboard boxes material. 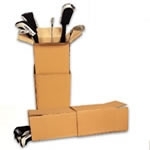 These storage boxes have a telescopic height adjustment action so they can be used as storage box to fit lamps, fishing rods, plants, curtain poles, golf clubs, christmas tree, etc. 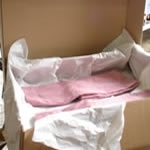 Jumbo tea chest box - largest packing box we supply, ideal for packing blankets, continental quilts, pillows, cushions, carver chairs, cabinets, tables, toys, camping equipment, etc. 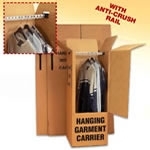 Wardrobe boxes come complete with "anti-crush" rail, which fits in place in seconds. Also included are 7 polythene clothes covers and a roll of tape. Extra Tall Wardrobe boxes come complete with "anti-crush" rail, which fits in place in seconds. Also included are 7 polythene clothes covers. 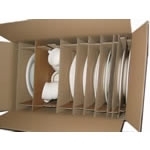 Pack up and protect your fridge, freezer, fridge freezer, dish washer, washing machine. 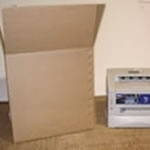 The box can fit an appliance up to 2 metres.